"Wild and unimaginable, and PISS-YOUR-PANTS FUNNY"
“HILARIOUS, TERRIFYING, AND STRANGELY AROUSING.”-Jon Bennett. "They have the chemistry, synchronized movement, expert choreography and puppet mastery that can’t be found in any other show this year. In thirty years of Fringing, I have never seen anything as good as this at pushing the limits of edgy comedy. You will leave smug and satisfied, with sore sides and wide eyes." "Hansen and Morin-Roberts are fearless in taking this show to places that are wild and unimaginable, but PISS-YOUR-PANTS FUNNY. The woman beside me was orgasming with laughter. What I also appreciate is the freedom the two have in using their full bodies, the avoidance of politicizing or moralizing, and the audacity of what they dream up. When two top performers get together and give it their all, the result is a must-see show." “If a Salvador Dali painting came to life on stage, it would be The Merkin Sisters. just plain goofy experimentation and play. I remember making up strange games with my best friend when we went on summer vacation. Alone in the woods, you start to explore new reaches of your imagination, making up songs — or even secret languages. That’s what it felt for me watching the two strange sisters act out this outlandish variety show. new and entertaining form or normal." Ingrid co-founded SNAFU in 2006. Raised by gregarious Danish immigrants, Ingrid loves talking to strangers. She likes to push polite Canadian boundaries with great mutual respect and humour. She has co-created and performed the multi-award-winning touring shows Interstellar Elder, Little Orange Man, Kitt & Jane: An Interactive Survival Guide to the Near-Post-Apocalyptic Future, and Snack Music. For the past seven years, Ingrid has built an ongoing collaboration with the inmates at the prison theatre company William Head on Stage, which operates inside a federal prison near Victoria, BC. Stephanie is a critically acclaimed Canadian artist who successfully and extensively tours to recognized festivals and venues across Canada. Her work as a performing artist has been celebrated by a wide range of audiences, critics and producers with sold out runs, raving 5 star reviews, and multiple awards underlining her outstanding talent, professionalism and charm. Graduating from Concordia University with a degree in Performance and Contemporary Dance, Stephanie was rewarded as the most outstanding graduate for her expansive interpretation of choreography and her ability to cultivate an interest in creating work that merges physical comedy and dance to enhance her audiences theatrical experience. Shortly after graduation, Stephanie’s work was programmed in professional theatres and well reputed festival lineups alongside other high caliber artists, such as Edgy Women with Studio 303, Phenomena Festival and WildSide Festival at the Centaur Theatre in Montreal, Chinook Series and Next Fest at the Westbury Theatre and Convergence at the L’Uni Theatre in Edmonton, BC BUDS at the Fire Hall Theatre in Vancouver, as well as Uno Fest at the Metro Theatre in Victoria. 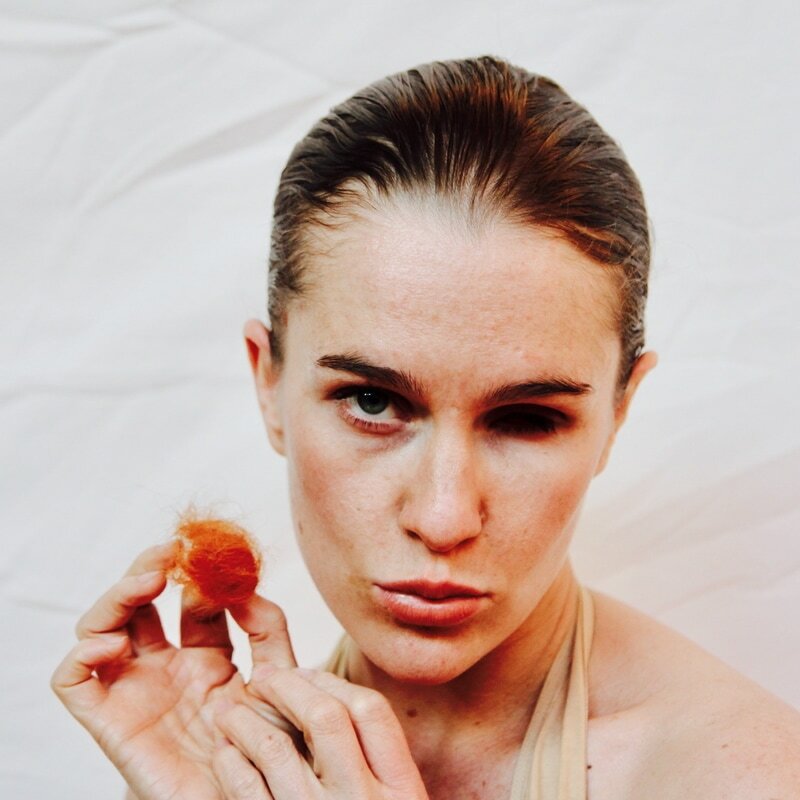 Co-producer and host of Dirty Feet, a Montreal-based podcast, Stephanie orchestrates a modern discourse on dance and physical theatre. Her interviews and reviews have been heard by thousands of Canadians across the country and beyond our borders. She has been granted media accreditation and invited as a jury member for major performing arts festival in Montreal, emphasizing her reputation as a critical eye within the milieu. As the artist director, performer and choreographer for the company For Body And Light, she has created three productions that merge storytelling and dance to portray the might of Canada’s climate and the perseverance of Canadians. Since debuting at Montreal’s Tangente, Coming And Going, Bear Dreams and Within | Between have been celebrated at festivals in every major Canadian city and have left critics talking in superlatives. Stephanie is known throughout the Canadian arts-community for her vibrant spirit and talent to inspire. When she was 2 years-old she lost her left eye to Cancer and has had a glass eye ever since. Thought her performances, she establishes a trusting and save environment by sharing her very own experiences with Bullying and how she managed to work through her insecurities and come to terms with her disability. She also generates inspirational discussions and workshops where she helps her students transform their personal life experiences into performance with students, theatres and parents. Her performances and creativity have been celebrated with awards from Theatre Festivals across the country, such as “Most Outstanding Production”, “Best-Cast” and “Fringiest Show” in London, “Most Original Work” in Ottawa, “Best-Choreography” alongside nominations for “Best-Clown” and “Best Theatre English Production” in Montreal and nominated for “Best-Physical Theatre” in Victoria. Her upcoming Canadian, European and American tours demonstrate her great dedication to share her work internationally. She was recently invited to perform her solo artist at the International Vault Festival in London, UK.